Let’s first establish some order in the name game we are about to experience. The icon set we are talking about carries the name Pixelglyph and is associated to the name Filesquare. Filesquare itself is just a service for creating click-through mockups of mobile apps with a feedback channel to the customer. Apps for mockup creation are a dime a dozen, so we will not look into the quality of this offering, at least not today. Pixelglyph surely is primarily aimed at raising awareness for the mockup solution Filesquare. But I guess they wouldn’t mind pocketing a few dollars through selling the paid version of the icon set, too. Pixelglyph comes in two variants. Both of which can be used commercially under the terms of the license CC-BY-3.0. This basically means, you have to attribute the original creator in the works you use the icons for. This is usually achieved by the addition of a backlink. 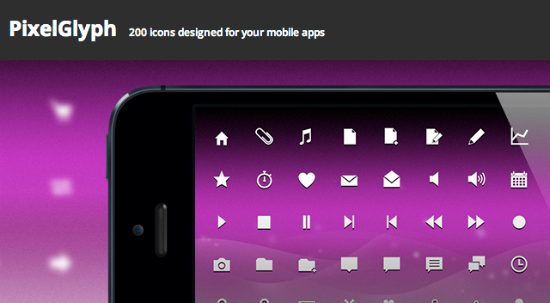 The free set comes with 200 one-colored icons in PNG format. They are sized 16 and 48 pixels squared. To get access to the 4.2mb large zip file, containing 400 single PNGs, it is necessary to leave a valid email address on the product website. The download link is mailed to the given address immediately, so any throw-away-provider will do. The mail itself contains a download link which on click initiates the download without further ado. Besides the mentioned mail address no more data is being collected. If you decide to buy the paid version, you receive some extra. For 25 Dollar Oursky provides you with the vector source files in Adobe Illustrator and EPS formats. This way you are not limited to the given sizes of the free package, but are enabled to scale and color the icons to your likings or the specifications of your client’s project. What you find on your local storage after the download is well-organized. Icons reside in folders corresponding to their resolution, are sensibly named and additionally carry their resolutions in the file names as well. That will not only delight every paper pusher out there. Oursky has given us five packages of the paid version to raffle them off to our fantastic readers from all around the world. So, if you want to win one of the sets with PNG, AI and EPS included, all you have to do is leave a comment below this article. The five lucky winners are drawn on Monday at 6 PM Berlin time. Any comment added until then will participate in the draw. What a cool giveaway. It’s amazing how icons and ui elements have changed the face of design in recent years. Thanks for the awesome contest. What a great set. They will definitely come in handy for an app I’m working on. Nice collection! It will be very useful for my current project. Great icon set. Could be extremely useful, thank you. 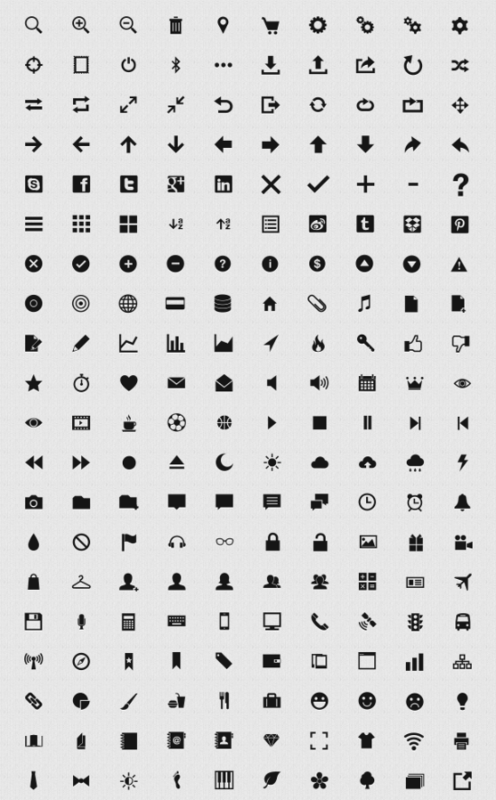 Great Icon set, beautiful work! Very nice icon set, good job! Great collection. I wish I would have seen this a month ago. I was looking for a small home icone in PNG and could find on small enough without background. Wow, this set would be perfect for a project I’m working on!